12 HP. 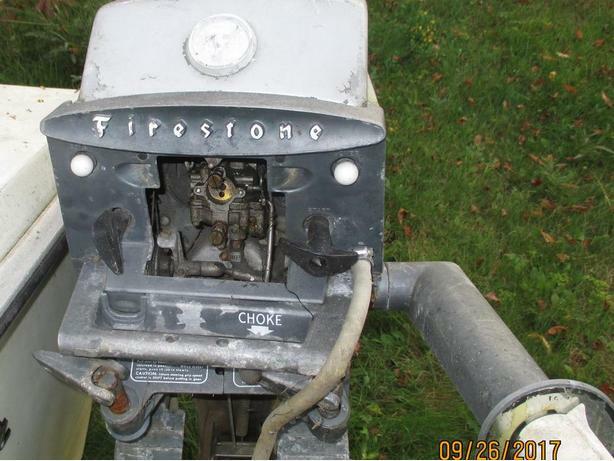 Firestone boat motor was running 5 years ago but I'm disabled now and don't have the time to clean and tune it up. A real collector's item (probably from the 50's) Made in Brampton Ont. located in Kazabazua Qc. NO DELIVERIES!